As your local boiler engineer in South London, we want to offer you not only great value for money, but a fantastic service with lots of options and proof of our credentials – our job is to install and keep your boiler running like clockwork. If you are looking to replace an old boiler, Summer is the ideal time. Winter is the time for boilers to break and boiler engineers are often called out on many more emergency calls – prepare for the winter in advance with either a service for older boilers or get an instant free quote for a new boiler. Get an idea of how much it will cost to install a new boiler with our fantastic new online instant free quote. Simply answer a few simple questions: The type of home you live in, how many bedrooms, number of bathrooms and do you have a hot water cylinder and let our system present you with our recommended packages. Our packages will provide you with options for our recommended boilers available that match your requirements. Simply choose the package that suits you, fill out your details and we will arrange a free no obligation survey with you. This allows us to fully understand your requirements and we can provide the best advice for your new boiler. We understand that a new boiler can be expensive, that is why we offer the ability to spread the cost, interest free, over 10 months with new residential Worcester Boilers with finance from Hitachi. Once you have decided on your new boiler installation package, we will arrange a convenient time to send over one of our fully trained local engineers to carry out your boiler installation. Why Choose South London Boilers? As your local boiler engineer we think the voice of our customers is the most important recommendation you could receive, take a look our our extensive reviews since 2014 on Checkatrade. We are also endorsed by Which? Trusted Traders, we are Gas Safe registered. 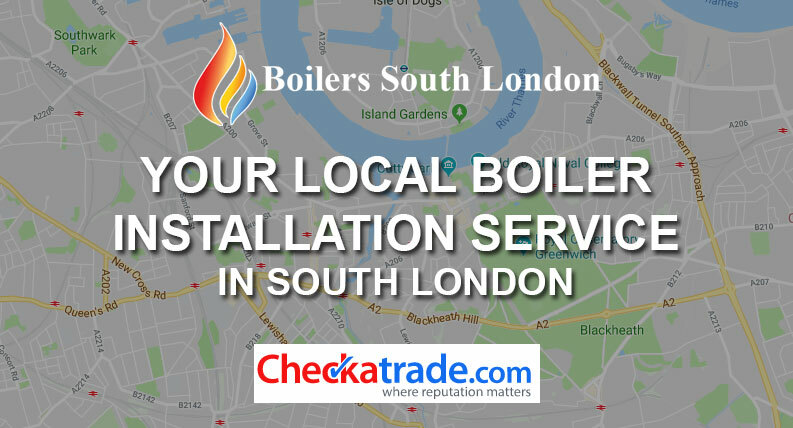 Have you had your Boiler checked with South London Boilers? Please follow us on Social Media and help us keep the Residents of South London safe & happy!